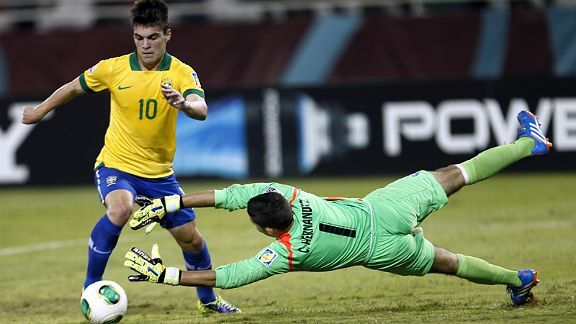 The slight No.10 enjoyed a dazzling tournament in the colours of Brazil. He had a huge hand in helping his country achieve three wins out of three in Group A and if it wasn’t for his last-gasp equalizer in the quarter-final against Mexico – Brazil eventually ended up losing on penalties – then coach Gallo Alexandre’s men could have been heading out in full-time without a fight. Indeed, Nathan was initially in line to miss out on even travelling with the squad to the UAE because others were deemed better than him in his position. However, he was handed a lifeline and given a late call-up by Alexandre and what a decision that turned out to be. Operating as a supportive striker, with an inclination to drop into little pockets of space in between the lines, Nathan thrived and scored five goals and made several key assists. The ball almost sticks to his feet like glue when he runs; a fine distributor of the ball, too, with added vision and awareness. The Atletico Paranaense player’s goals had a lovely blend of deftness and power and his double against UAE was a fantastic illustration of this. No doubt his glowing performances in this World Cup will have alerted the attention of many scouts but for Nathan, it’s about consistency and proving this wasn’t just a one-off. Athletic, intelligent and deadly in the box, Valmir Berisha finished the competition’s top goal-scorer with seven goals. For large parts, he single-handedly carried Sweden on his back and it was his potency in front of goal that ultimately assured them of a bronze medal. It’s interesting because the Swedes didn’t actually have the finest of tournaments, not in the group stages anyway. They accumulated a total of four points from three outings but in fairness, they were placed in an incredibly taxing group alongside champions Nigeria, finalists Mexico and hapless Iraq who couldn’t yield a single point. Having said that, they did manage to engineer a high-scoring 3-3 draw against Nigeria with Berisha bagging a brace and they only lost by the one goal to Mexico. Berisha was at it again in the Round of 16 as Sweden saw off Japan and calved out a passage to the quarter-finals where they locked horns with Honduras. Not only did Berisha score the winner in a 2-1 win, but the quality of the goal was simply outstanding. The ball was zipped into him from out left and without hesitation; he audaciously flicked it into the far right corner. The goalkeeper was left stranded, so to the defenders, as Berisha wheeled away to celebrate a glorious goal. But in the semi-finals, Sweden really did meet their match in Nigeria who did well to keep Berisha quiet and secure a comfortable 0-3 victory. However, Sweden weren’t going home yet. They still had a Third Place Match against Argentina to attend to. The stage was set for Berisha to shine and he did just that, completing a compelling hat-trick before the hour mark. It wouldn’t be at all a surprise to see the Albania-born forward force his way into the senior setup anytime soon. 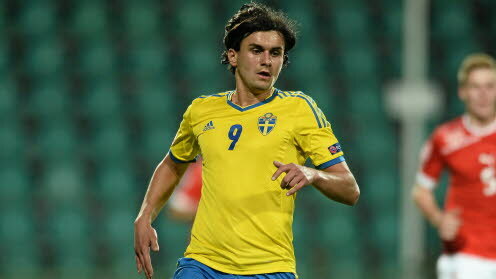 Indeed, he’s already been dubbed a ‘young Zlatan Ibrahimovic’. 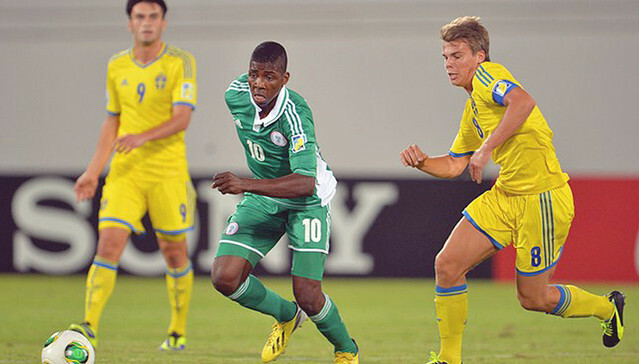 It just wouldn’t be right to compile this list without mentioning Nigeria’s little magician Kelechi Iheanacho. The left-footed playmaker was instrumental in his side’s World Cup success and was deservedly awarded with the prestigious ‘Golden Ball’ accolade (Overall Best Player). It was in the Group F opener against Mexico that he really made a name for himself. Iheanacho scored an emphatic four times in a 1-6 rout of the Mexicans, his fourth was the pick of the bunch as he cut inside from the right and unleashed a rocket into the top corner. He made it look easy. In total, he finished the tournament on six goals and seven assists showing not only can he break forward and put the ball in the back of the net but also create opportunities for teammates which is vitally important. There was a swagger about the way he played; not arrogance, just confidence. Clearly a very humble young man, he said after Nigeria’s win in the Final, in which he scored: “None of this could have been possible without my teammates. They are the best. The way we all cooperated together to win the World Cup is simple amazing. It’s like nothing else I’ve ever felt. I give them thanks for making it possible for us to do what we did.” With that sort of exemplary attitude, coupled with his insatiable appetite for scoring outrageous goals and unlocking defences, Iheanacho should go very far indeed. Nigeria have some player on their hands. This entry was posted in Player profiles and tagged brazil, fifa, Kelechi Iheanacho, nathan, nigeria, sweden, u17 world cup, UAE, Valmir Berisha, world cup by The False Nine. Bookmark the permalink.